Jan. 21, 2019, © Leeham News: It was 20 years ago, 1999, that Leeham Co. was founded and nine years later, Leeham News published its first blog. Leeham Co. was created after my partner and I sold a British company, Linkraven Ltd., publisher of Commercial Aviation Report, Commercial Aviation Value Report and organizer of international conferences under the Commercial Aviation Events brand. Linkraven had been in business for 10 years. As a certified aviation addict (once you have kerosene in the blood, you’re addicted for life), I couldn’t walk away from an industry in which I got my start in 1979 with the first Midway Airlines. Leeham Co. began as a consulting company to leasing companies. Eventually it evolved and expanded into the supply chain. Today, Leeham Co. serves the supply chain, lessors, advisors and manufacturers, just to name a few. We evaluate aircraft economics, develop product and market strategies, analyze market demand and serve other areas related to the industry. A full list of Leeham Co.’s services may be found here. 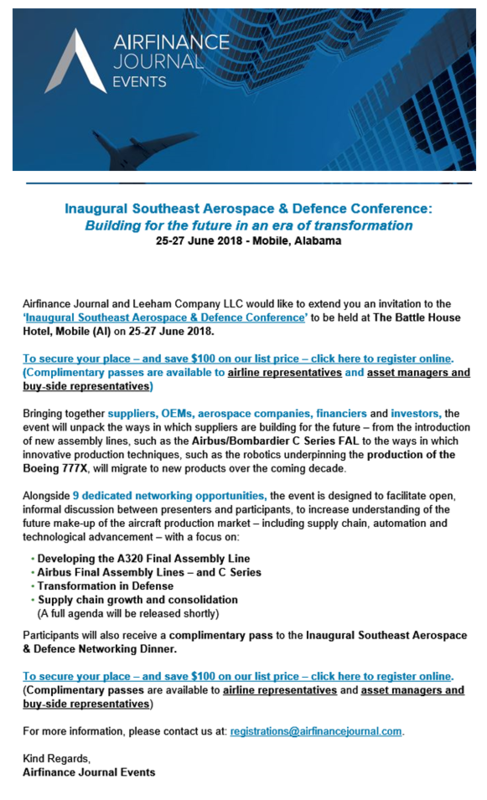 July 24, 2018, © Leeham News: John Leahy, who retired in January after 33 years at Airbus, and Scott Kirby, president of United Airlines, headline the Leeham Co. and Airfinance Journal conference, Plane Truths: The Next 12 Months, Sept. 11-12 in Chicago. 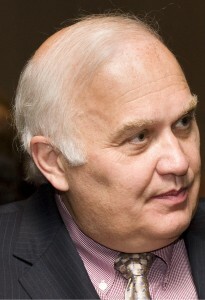 This will be Leahy’s first conference appearance since he retired from Airbus, where he was COO-Customers. Plane Truths: The Next 12 Months focuses only on the key issues coming up in the next year. Click here for more information. Officials of American Airlines, Cargolux, HiFly, Rolls-Royce, Skyworks Capital, Collateral Verifications, Embraer and Bombardier are among those who will participate. June 27, 2018, © Leeham News: A coalition of four Southern US states that joined to win the US Air Force tanker contact site location for Mobile (AL) will likely link up again to bid for the assembly line of the prospective Boeing New Midmarket Aircraft, officials of three of the states said yesterday. The Aerospace Alliance includes Florida, Alabama, Mississippi and Louisiana. 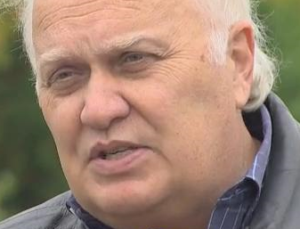 An official of an economic development commission for Charleston (SC) said Charleston will also likely throw its hat into the ring. 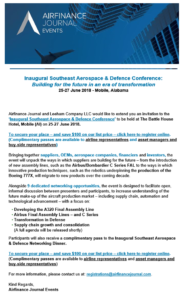 The comments were made at the Leeham Co./Airfinance Journal Southeast Aerospace & Defence Conference yesterday in Mobile. The conference continues today. 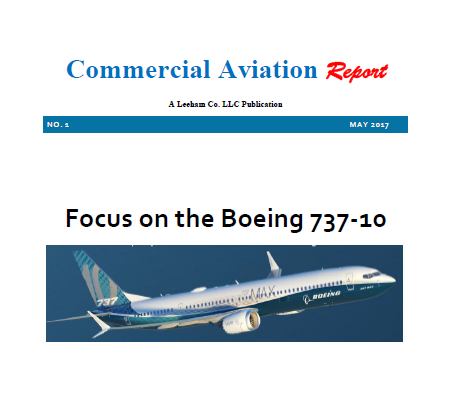 May 15, 2017, © Leeham Co.: Welcome back, Commercial Aviation Report. Today Leeham Co. is re-launching the publication that became the foundation of an international publishing and conference company and which ultimately led to the creation of Leeham Co. and Leeham News and Comment. 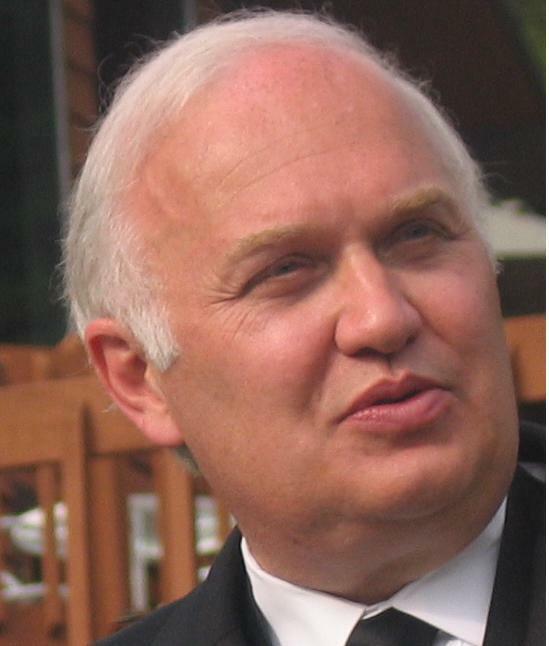 Commercial Aviation Report, or CAR for short, was launched Oct. 1, 1989, by Scott Hamilton, Chris Kjelgaard and Bernard Tilbury. The bi-weekly newsletter evolved into a magazine and later the creation of a monthly, Commercial Aviation Value Report. It’s conference unit, Commercial Aviation Events, became one of the top aviation conference organizers. CAE created the first commercial aviation conference in Eastern Europe, after the fall of the Iron Curtain; and the first commercial aviation conference in China. Oct. 5, 2015, © Leeham Co. Airbus appears to be closing in on a decision to boost the production rate of the A320 family to 63/mo by the end of the decade, a new report from Bernstein Research Group says. Boeing is sure to follow with rate boosts for the 737, Bernstein writes in an Oct. 1 note. 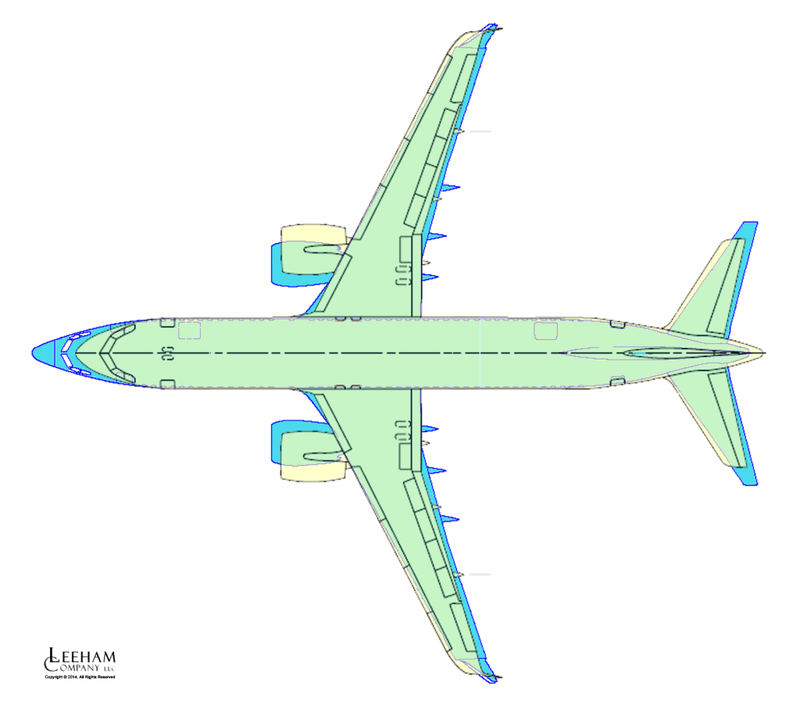 Leeham Co. has been predicting these moves all year, and in LNC’s interview with Airbus Group CEO Tom Enders last month at the opening of the A320 Final Assembly Line (FAL) in Mobile (AL), Enders indicated the decision to boost rates would be made by the end of the year.